The Scoop: Spice of Life is an Australian dating site that keeps things simple. Its mission is to facilitate genuine relationships between as many people as possible, and every matching, chat, and safety feature supports that end goal. Since 1999, Spice of Life has welcomed online daters of all ages, orientations, and backgrounds and given them a safe space to mingle and fall in love. When Ann Baxter visited online chat rooms for the first time in 1999, she was filled with overwhelming sympathy for the lonely hearts she met there. She was happily married, and it saddened her to realize how many of her fellow Australians were single and aching for human connection. For the last 20 years, Spice of Life has provided a safe haven for Australian singles and couples. Ann wanted to do something to help these singles find love, and her husband Robert gave her the push she needed. He encouraged her to start a business that would cater to the hopeless romantics of the world. So, at a time when online dating was still a niche industry, Ann launched an Australian dating site called Spice of Life, and it took off. Spice of Life attracted thousands of singles who yearned to meet someone special. Its authentic profiles, personalized service, and security features made online daters feel comfortable meeting new people and chatting with potential love interests. Although Spice of Life began as an Australian dating site, it has since expanded internationally to reach the U.S., the U.K., and other countries. Now Spice of Life is celebrating its 20th anniversary, and love continues to blossom on the site all the time. Ann said she has heard from many couples who met and found love on the site, and it warms her heart to know she is making a difference in so many people’s lives. Spice of Life is a small dating company with big ambitions. Ann started the dating site to create meaningful relationships between Australian singles, and she hasn’t wavered from that mission in 20 years. It’s true — Spice of Life pares online dating down to the essentials and offers a straightforward experience online. The site’s most unique feature is its matching system, which allows members to view singles who are looking for someone like them. This mutual matching section has been popular among active daters as it helps them encounter a lot of mutual matches with minimal effort. Singles and couples of all ages, ethnicities, and orientations are welcome to join Spice of Life. The dating site caters to anyone seeking an authentic connection. “Our members are from all walks of life but their goal is all the same, to find someone to share their life with,” Ann said. Spice of Life supports a private email system where users can chat anonymously. Ann manually checks each and every new profile and photo added to the site, and many automated processes double-check the content to ensure no scammers slip past. This reputable dating site removes all unsavory individuals from the platform and bans their IP addresses so they cannot enter again. Ann told us she feels duty-bound to protect her customers from harm on Spice of Life, and she does everything within her power to maintain a safe online environment. She even offers online dating tips to advise newcomers to the online dating scene and set them up for success. 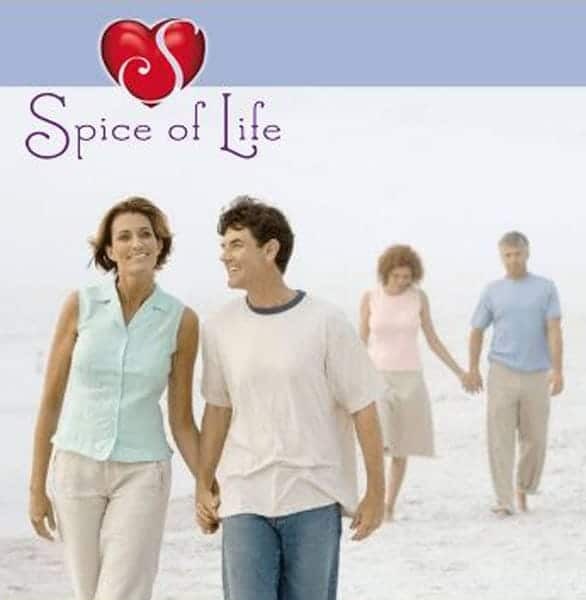 Spice of Life has been around for two decades now, and it has received many positive reviews in that time. Its greatest success stories come from couples who connected on the site and then formed loving relationships. Belana said she had spent two years searching dating sites for a match until she found the one on Spice of Life. After meeting many different types of guys, she gained clarity on what she wanted and fell in love with someone special. About 20 years ago, Ann was meeting singles in chat rooms and wondering what she could do to help them get in a romantic relationship. Today, Ann is the sole owner and operator of Spice of Life, an effective dating site designed to spark deep emotional connections between users. Spice of Life has brought happiness to thousands of users who entrusted their love lives to the platform. Its straightforward and genuine features have led to countless dates, relationships, and marriages in Australia and abroad. “For 2019, my goal and impact for the site is actually the same as every year — just to keep doing the job right for the good people and to try and get our website in front of as many people as possible, so more singles can find each other, which is a win-win for everyone,” Ann said.